It’s a trip back in time for David Tennant and Billie Piper, meeting Nickolas Grace (Doctor Who: Death is the Only Answer), Mark Elstob (The Prisoner) and Lucy Briggs-Owen (Doctor Who: The War Doctor). A three-faced killer stalks the countryside in 18th century England. 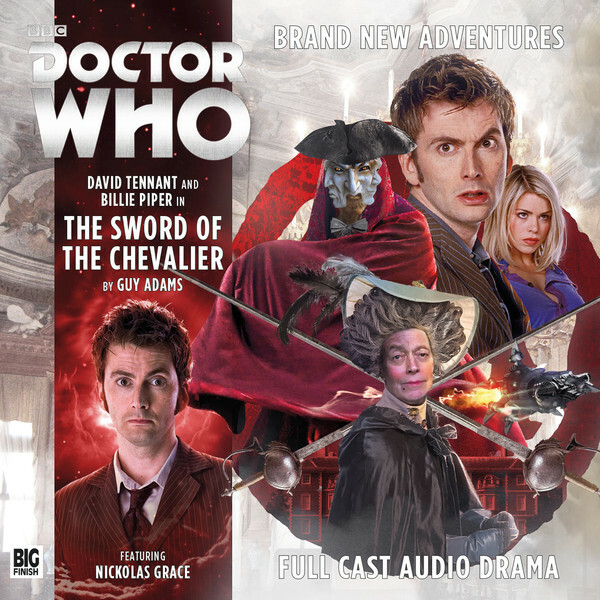 Only the Doctor, Rose and peculiar aristocrat the Chevalier d’Eon can prevent the devastation of the human race... Accomplished writer Guy Adams (The War Doctor, Torchwood: Outbreak) serves up a script with swordfights, costume parties and a real - if delightfully obscure - historical figure. The RTD era frequently gave us fun, frenetic ‘celebrity historicals’, and here is Big Finish’s answer – with frills!